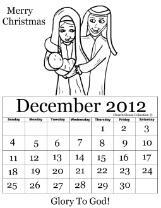 Print this December calendar off for the kids to color and hang on their refrigerator. This comes with and without words and also without any numbers and words. 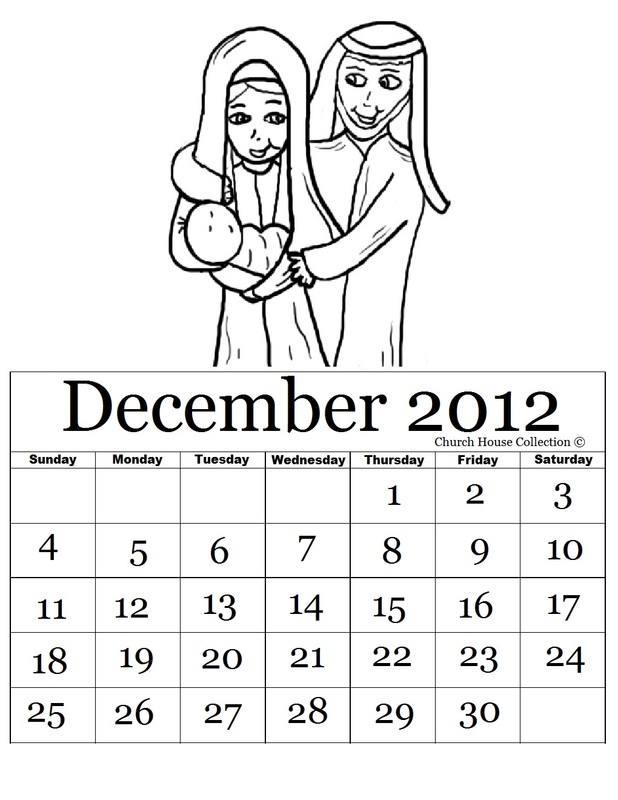 Let the kids fill in the month and numbers. 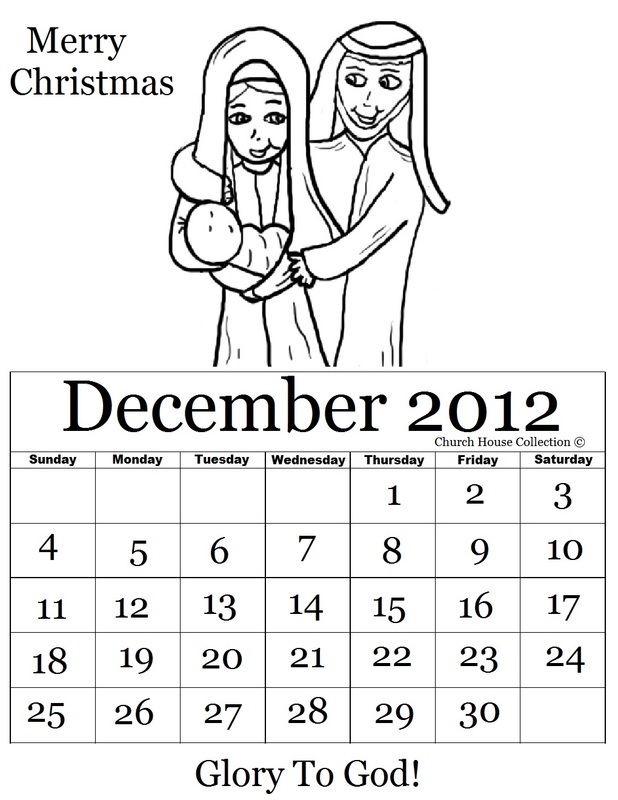 You can use our matching Nativity Sunday School Lesson that goes with this. Comes with a coloring page, snack, maze, and so much more.